When Hal’s family makes the heart-wrenching decision to leave Charley, their comatose daughter, behind in a hospital ward while they spend the summer on the west coast of England, Hal finds it harder than ever to shake his sister’s presence. What power is letting him share her memories? And will they reveal the deep, dark truth behind her tragic “accident”? 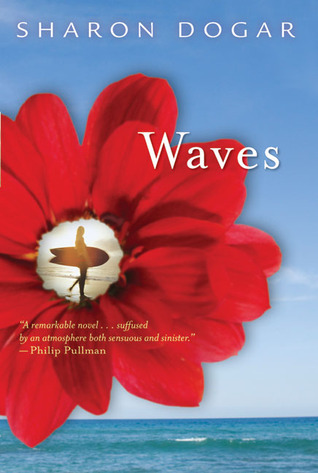 Set at a beach where growing up goes wrong, WAVES is a coming-of-age story about first love and first loss; about a family drowning in sorrow, and the remarkable son who is struggling against the tide to save them. Waves is on our UKYA Top 100 list. Categories: England, Social/Family | Tags: Sharon Dogar | Permalink.